DESCRIPTION: This historical graphic novel details the continuing adventures of a young school teacher from NH who enlists in the Union Army during the Civil War. The events of the story are all based on actual letters Freeman Colby wrote home about his experiences, plus several other period primary sources documenting the experiences of the 39th Massachusetts Volunteers. PRE-ORDERS: To pre-order a copy, please support the Patreon page at the “graphic novel” level. Other pre-order options will appear on this site as the book nears completion. Freeman Colby Vol. 2 combines several period source texts to reconstruct a sense of Freeman Colby’s Civil War adventures. Colby’s original diary fragment ends in April 1863 (see Volume 1), so I’m basing this account on his wartime letters and various documented firsthand accounts of his comrades in the 39th Massachusetts Volunteers, the people they met, and people who were in similar situations. That means I can include everything Colby felt was important to record in writing at the time, PLUS I can go beyond all that to portray additional topics and issues surrounding Union forces in the South at the height of the Civil War. The 39th Regiment Massachusetts Volunteers (Roe, 1914) ~ This official regimental history features hundreds of pages of stories collected by a memorial committee, including several sections of diaries, journals, and other primary source texts. 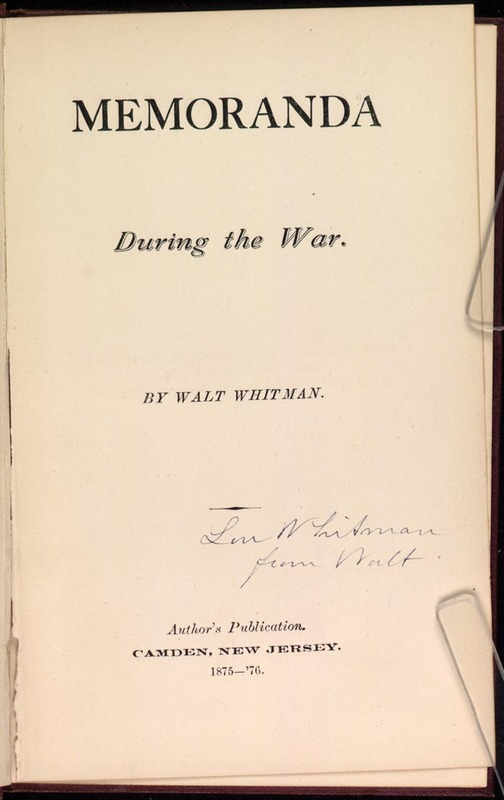 Memoranda During the War (Whitman, 1875-6) ~ Poet Walt Whitman’s accounts of serving in Washington hospitals in 1863, at the same time as soldiers from the 39th Mass. Hardtack and Coffee (Billings, 1887) ~ An invaluable source of information and memories by a veteran campaigner. The Civil War letters of Wilbur Fisk ~ Like Colby, Fisk was a rural New England schoolteacher who volunteered in a local regiment — the 2nd Vermont, in Fisk’s case. Throughout the war, he wrote eloquently & in great detail in his reports to the Green Mountain Freeman, sharing valuable ground-level details & reflections on the evolving conflict. I use Fisk’s letters in several places to fill in gaps in the accounts of Colby & Bacon. The letters are collected by Emil & Rosenblatt in Hard Marching Every Day (University Press of Kansas). 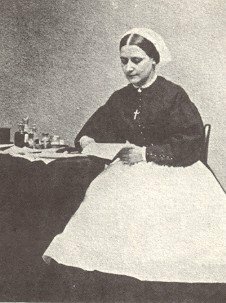 Sarah Low Letters ~ Sarah Low (of Dover, NH) wrote numerous letters describing her experiences working as a nurse at Washington, DC hospitals. Her papers, ephemera, notebooks, & photographic collection are all archived by the NH Historical Society. Some letters have also been transcribed & posted by Dover Public Library. Battleground adventures, the stories of dwellers on the scenes of conflict in some of the most notable battles of the civil war (Clifton Johnson, 1915) ~ Detailed observations & accounts from enslaved people & freedmen along the Rappahannock. Andrew Ward has tracked down the names of some of Johnson’s storytellers in his book, The Slaves’ War. Pension application depositions of Hester Tuckson & al. (Fall Hill, Spotsylvania County, VA) [full text] These documents give us the voice of one African American soldier’s widow, and, perhaps surprisingly, corroborating testimony from a former slaveholder. Thirty Years After : an artist’s story of the great war : told, and illustrated with nearly 300 relief-etchings after sketches in the field… VOLUME 1 | VOLUME 2 (Edwin Forbes) Essays on various subjects, accompanied by wartime drawings and later artwork based on Forbes’ experiences alongside the Union Army.